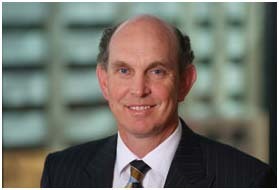 David Neutze specialises in the area of commercial litigation and dispute resolution. He filed the Statement of Claim for Neil Wells and the fictitious AWINZ without checking the facts and he has again signed a statutory demand without checking for accuracy . As a lawyer his duty is first and foremost to the court as an officer of the court and this accreditation with Leadr would indicate that he supports alternative dispute resolution and the associated ethics . The following is my open letter to Mr Neutze. Happy New Year Mr Neutze I trust that the festive season has been relaxing for you . My festive season began with a statutory demand being served on my companies registered office just two days before Christmas, attached to the front door right under the Christmas wreath . This is the second time where you have signed a statutory declaration and not checked to see if the contents of the document was accurate. The first was in 2007 when you claimed funds from my company on behalf of an incorporated AWINZ when no such entity existed. As a private Investigator and former police officer I am “fact focused” and I do not expect any one to make a claim when they do not rightfully have one. You represented Neil Wells ,Wyn Hoadley and Graeme Coutts who together claimed to be trustees of the animal welfare institute of New Zealand. These people took action against myself and as a trustee of a incorporated trust and legal charity by the identical name and claimed passing off and breach of fair trade. The evidence which has been provided by Mr Wells for the law society ( and had not made available to the court) proves that these people first came together on 10 may 2006 when the entity I was a trustee of was legally incorporated on the 27th April 2006. Therefore without prior existence and no proof of legal existence how could these three people possibly have hoped to succeed in the case . Significantly they withdrew after racking up nearly 20,000 in costs , costs which were used to strike out my claim of truth and honest opinion on the alleged defamation . The defamation case was somewhat unusual, there was absolutely no evidence , no proof of publication ,no proof that any person had received the alleged documents but significantly the alleged statements were later proved true through an independent audit conducted by MAF which Mr Wells then fought long and hard for to have withheld. Now that I have the new evidence and have the documents before the court seeking a review you emerge and have the judgment of judge Joyce sealed while the matter for review is still before a high court judge. Emblazoned on the documents are the words “judgement on trial by judge”. Could you please be so kind as to advise me when the trial was, I recall that there was a direction for you to file a new statement of claim and from there you ignored the directions of the court and took the matter straight to Quantum. Thus I was found guilty without there ever being any determination as to the facts in the statement of claim in any way. When I tried to appeal you prevented the appeals by misleading the court with regards to AWINZ and by attacking character. I tried to produce new evidence which would show that your client had committed perjury at the quantum hearing but you sought to have my evidence disallowed claiming that the evidence was not relevant to the statement of claim, which it was not ,but it was relevant to the only evidence which was given. =Therefore the trust is the approved organization. Question how can a trust make an application before it exists and how could it say it had a deed when there was none? also where are the signatures of the alleged trustees? In the audit report Mr wells had claimed that all documents prior to 2008 were lost , therefore these minutes are very suspect. The trust deed dated 1.3.2000 by its own conditions terminated 1.3.2003 but without any evidence and without adhering to the trust deeds conditions we just pretended that this trust continued to exist, It was missing in any case and we still have to question how we had none then had two , which is an issue I have previously raised.. Please if you are going to tell lies be consistent Mr wells and watch the maths. fallacy =therefore Wyn Hoadley was not only a trustee of the trust established 1.3.2000 but she was also the chair person of the approved organisation. When the litigants tried to claim charitable status they found that they needed a trust deed. So they signed a new deed together with Tom Didovich who had been the former Waitakere city council manager who had allowed AWINZ to be established on council premises and use the staff and infrastructure , without the knowledge and approval of council. Not any of this would have occurred if you had taken the time to check the facts before you acted, you have never made resolution available except through intimidation, there has never been a lets meet and discuss. , it appears that you have relied upon mr Wells word and have not sought to validate any of the claims. Even with the demand for money they were not due then you seal them and your first approach is with a sledge hammer . Are these the tactics of Leadr negotiations? I am asking you now as an officer of the court and a Leadr accredited mediator to go through the facts. I have previously requested you to check your facts, and I have tried to contact you with view of meeting with you and discussing the issue so that you who instigated the proceedings but has otherwise remained at a distance could be fully informed with facts rather than hearsay. A lawyer is obliged to uphold the rule of law and to facilitate the administration of justice. 2.1 The overriding duty of a lawyer is as an officer of the court. 2.4 A lawyer must not advise a client to engage in conduct that the lawyer knows to be fraudulent or criminal, nor assist any person in an activity that the lawyer knows is fraudulent or criminal. A lawyer must not knowingly assist in the concealment of fraud or crime. 2.4.1 A lawyer may assist a client in seeking to avoid or minimise any penalty or adverse effects that flow from fraud or crime. 11.4 A lawyer must take all reasonable steps to prevent any person perpetrating a crime or fraud through the lawyer’s practice. Mr Neutze If I have my facts wrong could you please provide me the evidence which shows that I am wrong and how I am wrong. That Wyn Hoadley Neil Wells and Graeme Coutts together were trustees of the approved organization and traded prior to 27 April 2006 using the name AWINZ so as to validate their claims of breach of fair trade and passing off. That the Charity AWINZ were the litigants and the obligations they had to pay the accounts to brookfields. the Brookfields invoices to AWINZ which AWINZ was the client? Neil Wells as sole trader and law enforcement authority, The trust established in 2000, the litigants or the trust set up after litigation began. An explanation as to why the charity which according to its annual returns AR002 AR003 AR004 AR005 paid for the litigation and was allegedly part of the litigation , did not file the statutory demand and why instead it was filed in Mr Wells own name – does this not indicate that he is seeking to privately benefit from the costs incurred by the charity? And How is that not fraud? The copies of all the alleged defamatory statements attributed to me and allegedly sent out by me ( they must be on your files surely? ) and proof in view of the audit report which shows that my statements were defamatory or known to be false. Please also advise what definition of the word Trial you are using. If I do not hear from you by Friday 13 January 2012 4 pm , I will presume that there is nothing wrong with my facts and reasoning. and that you cannot provide answers. I am seeking this information by way of discovery which you have always prevented. If you do not have any of this evidence then you should be asking yourself some serious questions about how this has gone on for so long without evidence. You are the officer of the court your reputation is at stake and you are the one who can rectify the matter. If you cannot find the evidence which should be there and you do noting then it proves that the case against me has been malicious and that your pursuit of me or my company for the sums claimed is not legitimate and that you are knowingly using your office to facilitate fraud. I look forward to hearing from you 2012 will resolve this issue either you are a straight lawyer or a crooked one, If you are straight you will take action now and turn this mess around.